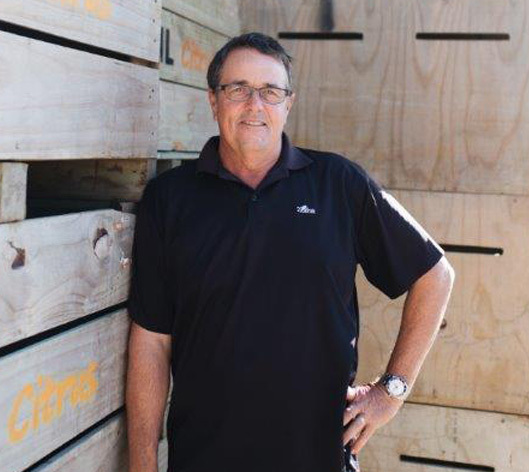 As Procurement Manager of citrus I am Zeafruit’s main grower point of contact and advisor of all aspects of citrus orchard practices; from planting through to spraying, fertilising, pruning, thinning and harvest management. I have been working at Zeafruit for ten years, mainly sourcing fruit within the Gisborne region, but also including the Bay of Plenty & Auckland regions. I am responsible for GAP certification, spray-diary clearance, pre-harvest fruit testing & scheduling of lemon degreening, co-ordination of all fruit for packing (in conjunction with the sales manager, pack-house management & staff). Rural by birth, I grew up on my family’s Gisborne hill country farm, going on to study a Dip. Ag at Massey University before returning home to farm. However for the last twenty years I have been working in and around the Poverty Bay flats, where I was a Technical Horticultural Rep before joining Zeafruit. By being a citrus grower myself I see things from both sides of the citrus industry and I therefore have a strong belief in ‘win-win’ outcomes for all concerned. In my spare time, my wife and I manage our own citrus orchard; I am also a Canoe Racing New Zealand Official, an avid trout fisherman and enjoy any water-related activities.